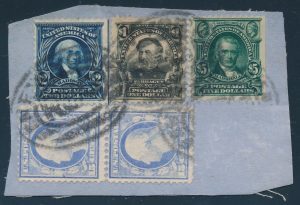 I’ve been organizing my international destination binders/albums and have rediscovered a few items that I had long since filed away. 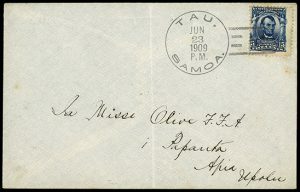 Below are a postcard and a cover to the British colonies of Belize and Fiji. 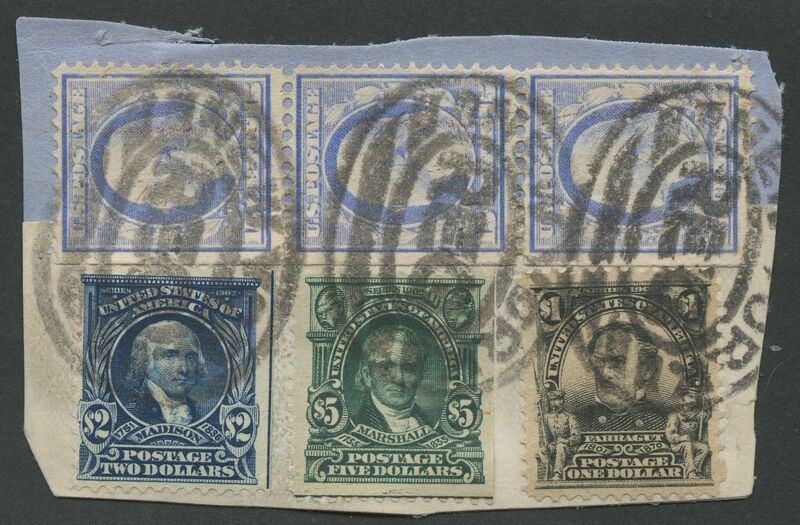 I also have a pair of covers to separate colonial cities on the island of Borneo. 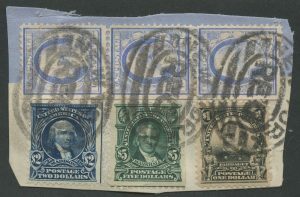 Click on an image to open the destinations map webpage. 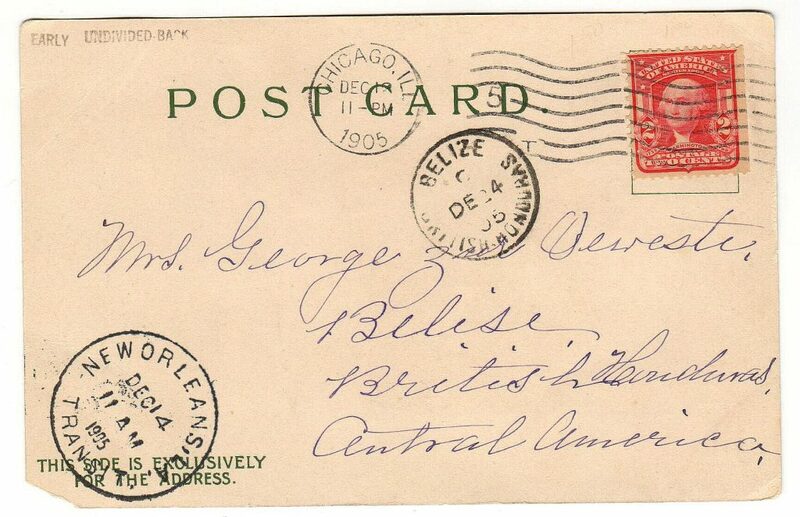 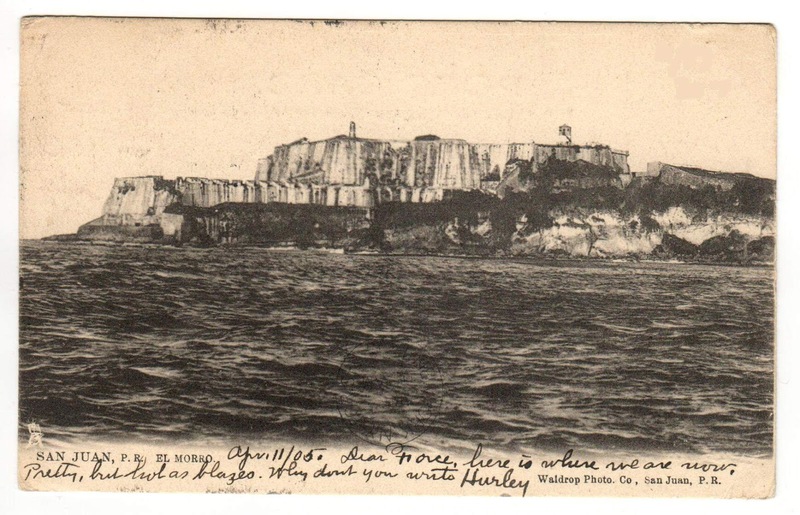 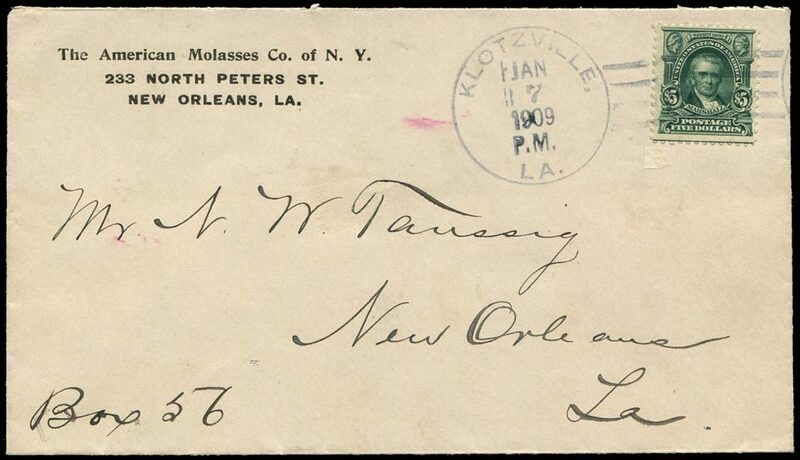 1905 postcard sent from Chicago to Belize (Britsh Honduras) via New Orleans; it only took 12 days for this card to make its way to the tiny British colony. 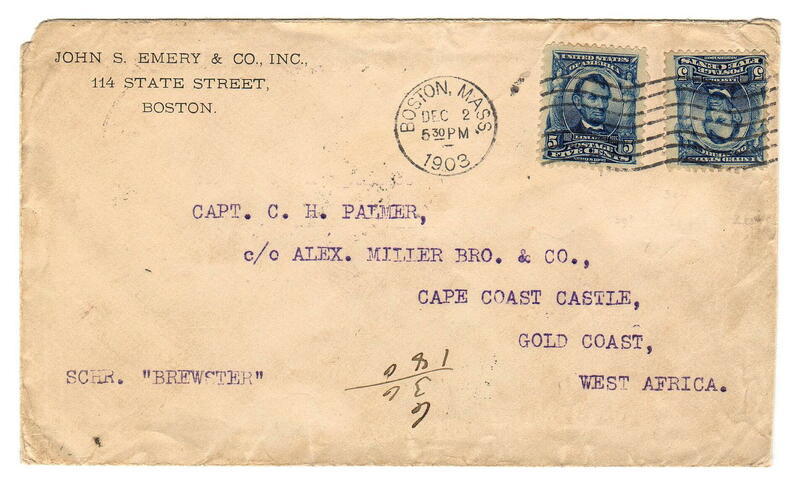 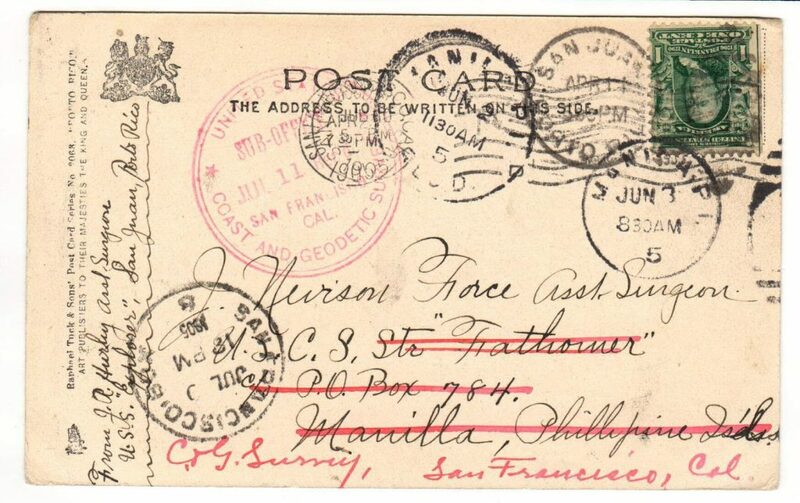 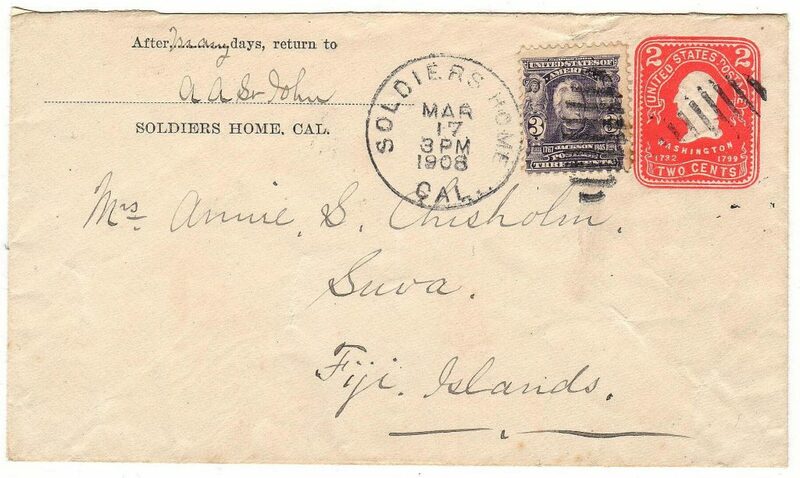 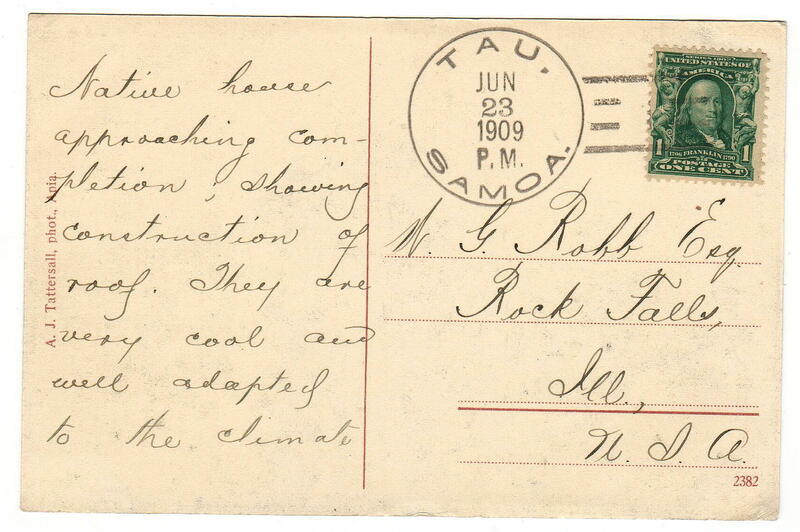 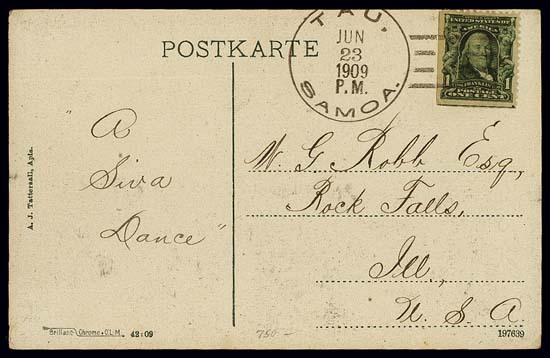 1908 2-cents postal stationery with additional 3-cents stamp sent from Soldiers Home, California to Suva, Fiji. Advertising cover from 1903 sent to Bandjermasin, Borneo, Dutch East India (modern-day Indonesia). 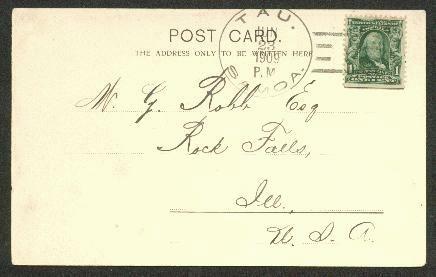 Sent from Quincy, Ill and placed aboard the Chicago-Kanas City Rail (R.P.O.) 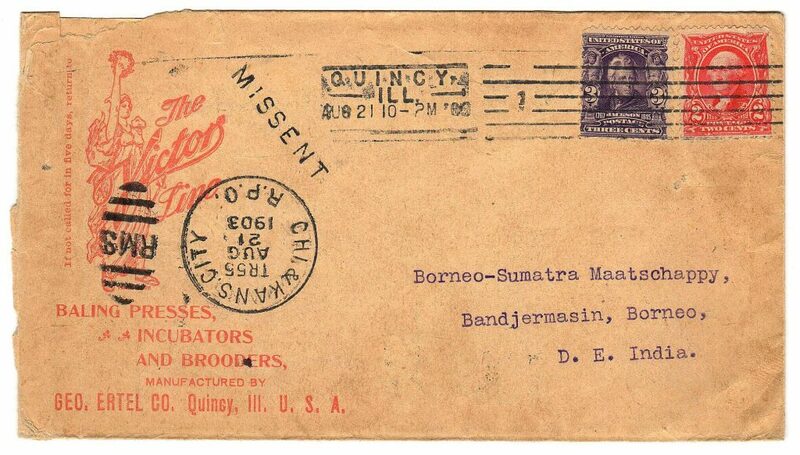 by mistake and marked ‘MISSENT.’ The cover eventually made its way to New York where it traveled by sea to Borneo arriving about a month later. 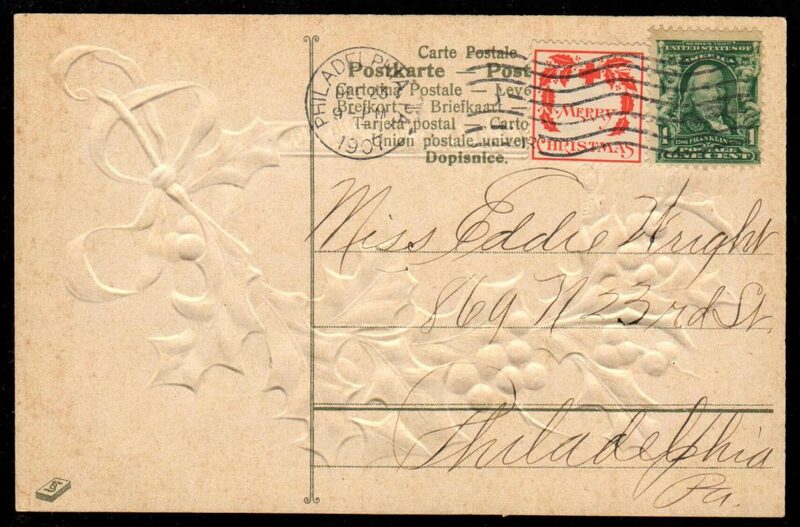 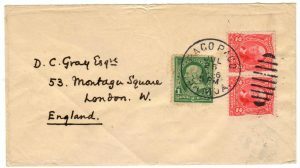 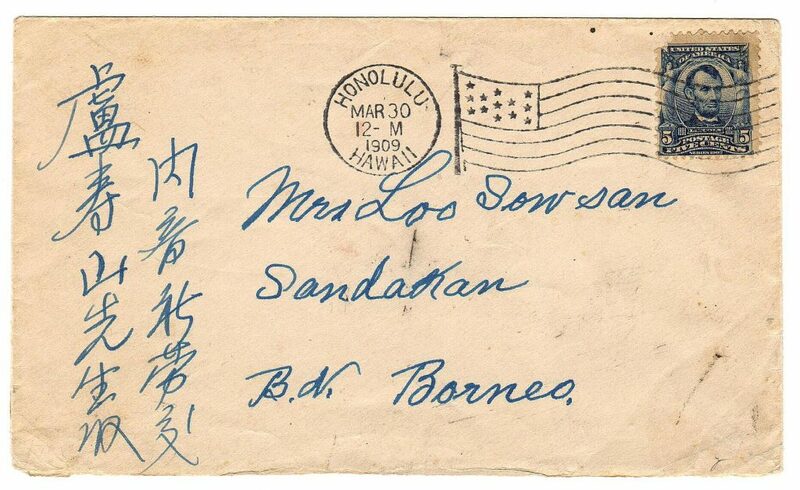 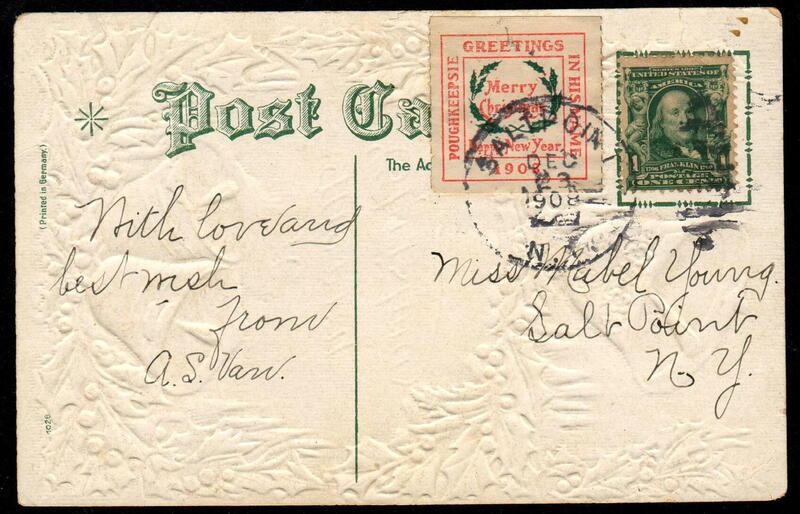 Cover posted from the territory of Hawaii to Sandakan, British North Borneo (modern-day Malaysia). 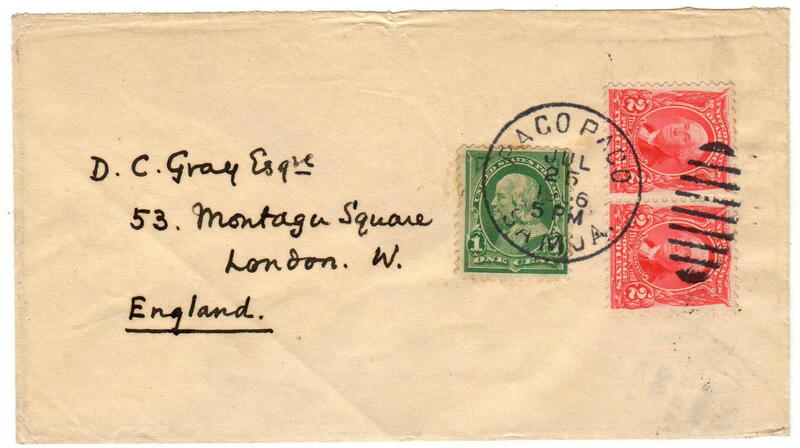 The cover traveled through Hong Kong (backstamp) on its six-week journey. I’ve maintained a census of the 2nd Bureau $2 and $5 stamps for several years now. 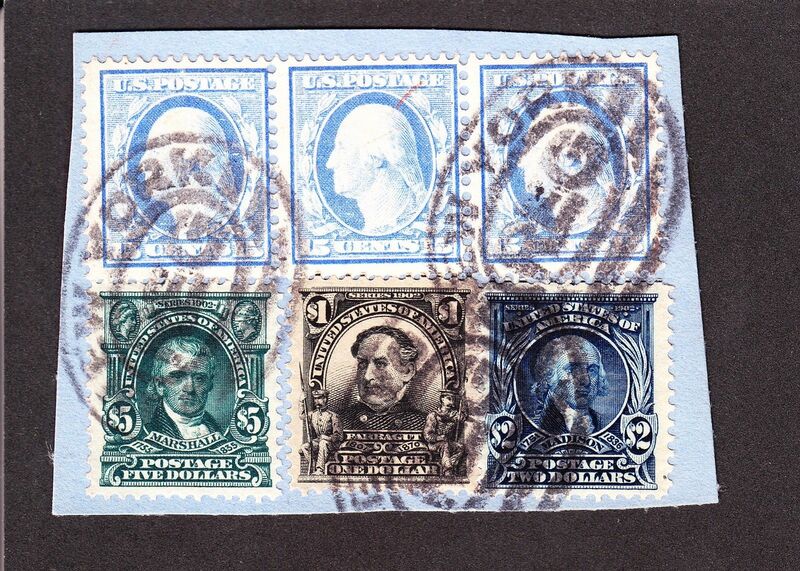 There are only 13 15 pieces or covers (as of March 2019) with the five dollar Marshall stamp (Scott 313), and many of the items were created by contemporary philatelists. 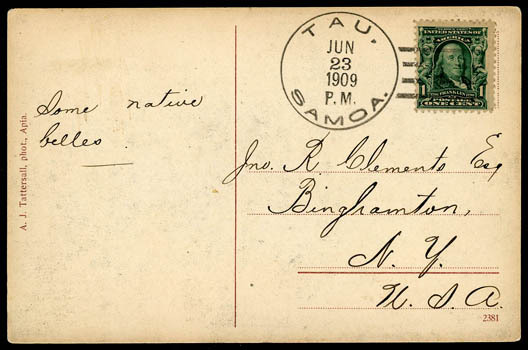 Shown below is the only solo franked $5 cover in the census, item 313-12. 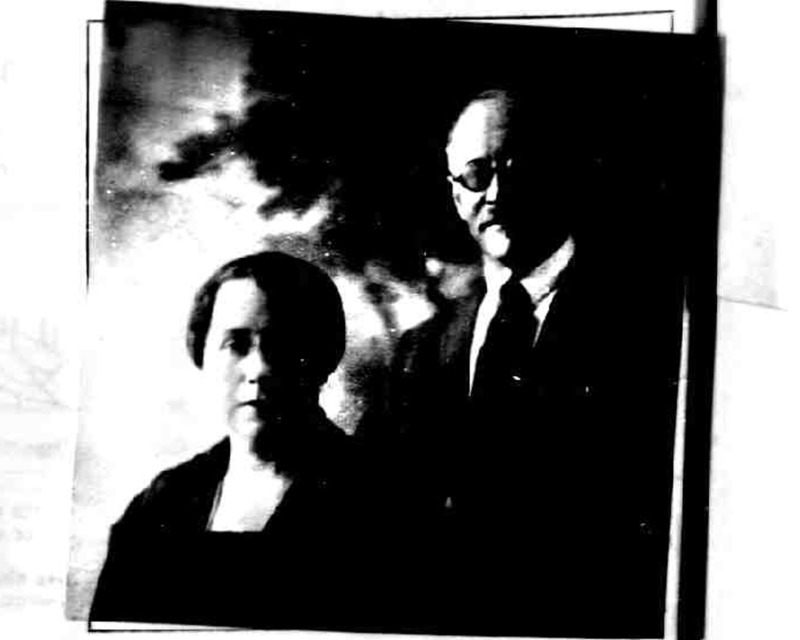 Constance and Noah Taussig’s passport photo (circa 1922). 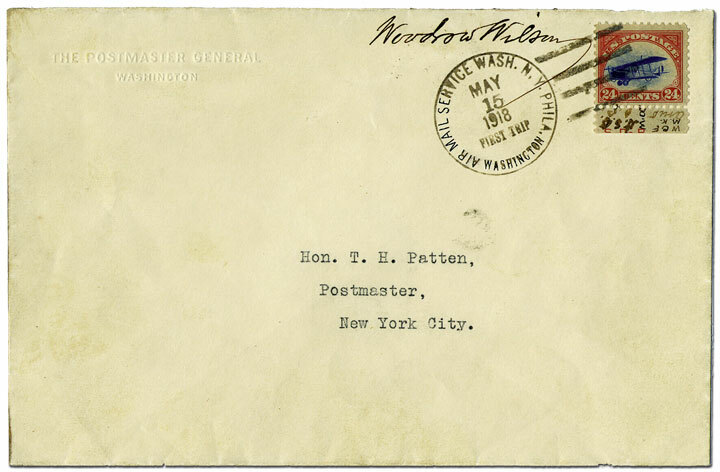 Mr. Taussig’s name may be familiar to airmail collectors as the creator of the “Taussig” first flight cover that is on display at the Smithsonian National Postal Museum. 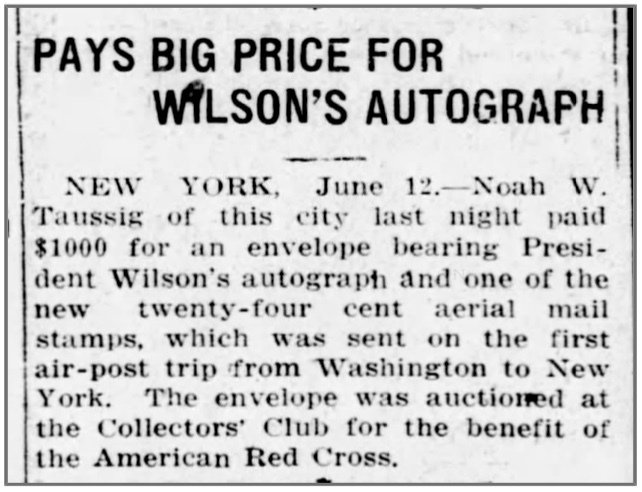 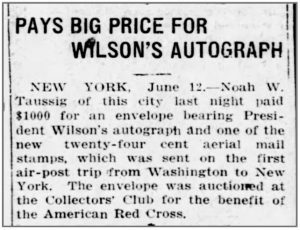 Taussig created the cover that bears President Woodrow Wilson’s autograph and was carried on the historic May 18, 1918, flight from Washington, D.C. to New York City. 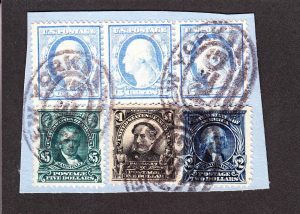 The prized cover was sold to Mr. Taussig for $1000 at auction to benefit the American Red Cross. 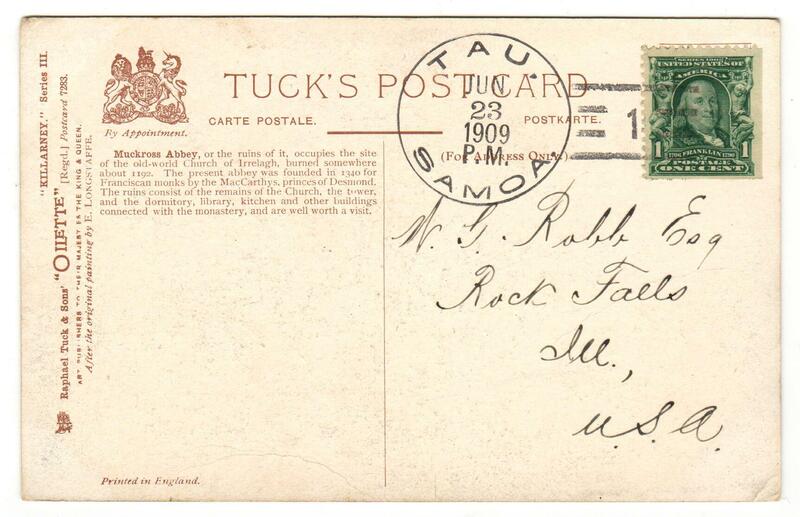 These are the only two philatelic “Taussig” covers known to me. Know of any others?